As a full-service Portland moving and storage company, we offer the commercial warehousing and residential storage offerings you need. Whether your move is residential or commercial, local or international, you may require extra space for your valuables at some point during your journey. 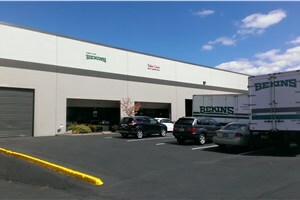 Rely on Irvington Transfer & Storage (ITS) Global Relocation Services to provide the secure storage solutions you need. Since 1926, our Portland storage company has kept many different varieties of household and business items safe. In the process, ITS Global Relocation Services has earned BBB accreditation, membership with the Oregon Moving and Storage Association, and a ProMover designation from the American Moving & Storage Association (AMSA). For combined moving and storage solutions, residential storage services or commercial warehousing and distribution, we have the ideal solution. We’re here to ease your storage experience every step of the way! Serving businesses and households from our Portland storage facility, we offer a diverse array of commercial warehousing and residential storage solutions. Custom Storage Solutions – When you decide on ITS Global Relocation Services as your storage company, our team will work with you to create a custom short-or long-term storage plan. Expansive Warehouse – Our Portland storage facility has 16,000 square feet of space available for furniture, electronics, industrial equipment, and much more. Secure Storage Facility – Our security features are state-of-the-art, so much so that ITS Global’s warehouse has been certified by the Department of Defense. Your valuables will be protected 24/7 from fire and theft. Household Storage: We can store your household furniture, electronics, fine art and more as long as you require. Commercial Storage: Storing your extra valuables and business equipment with us will save you space, time, and money. Records Management: ITS Global Relocation Services can provide the solutions you need to keep your information secure. Warehousing: We can pick up, store, and deliver any type and amount of commercial goods seamlessly. Don’t delay any longer—contact ITS Global Relocation Services today with your specifications. A friendly representative is standing by to assist you, or you can fill out our online quote form to receive a free estimate now!